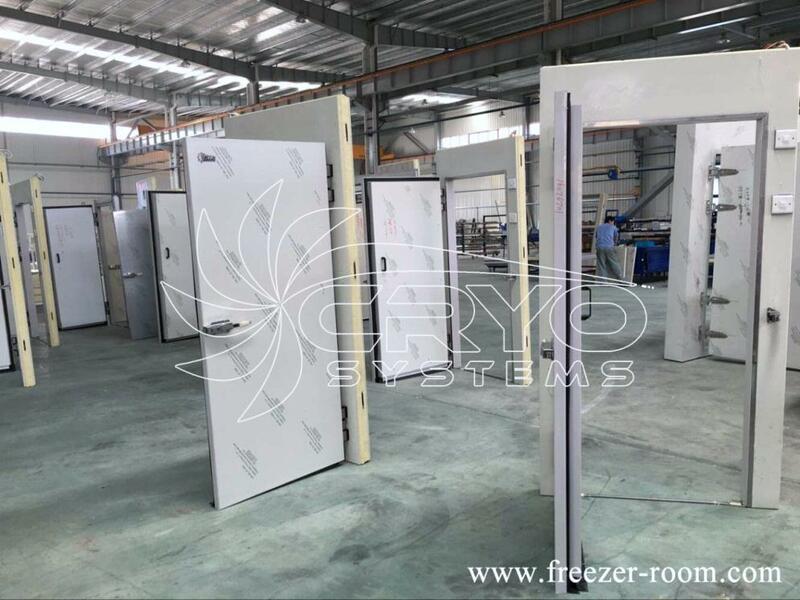 Blast freezer cold room - Cryo Systems Co., Limited. 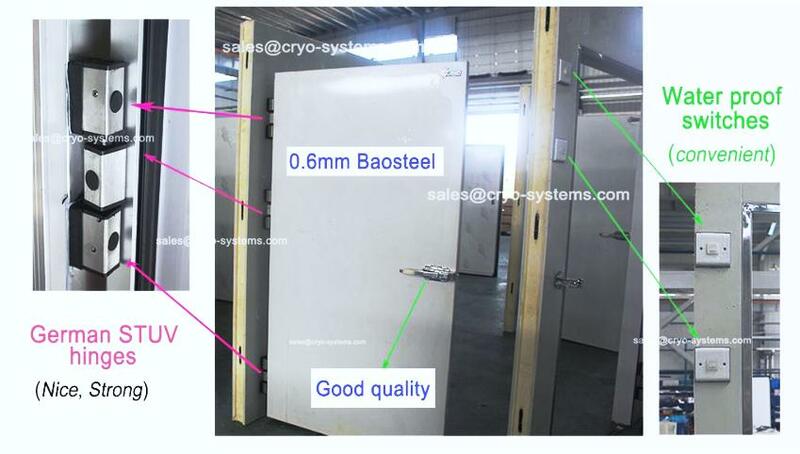 √ Keep your goods in a good condition for long-term! 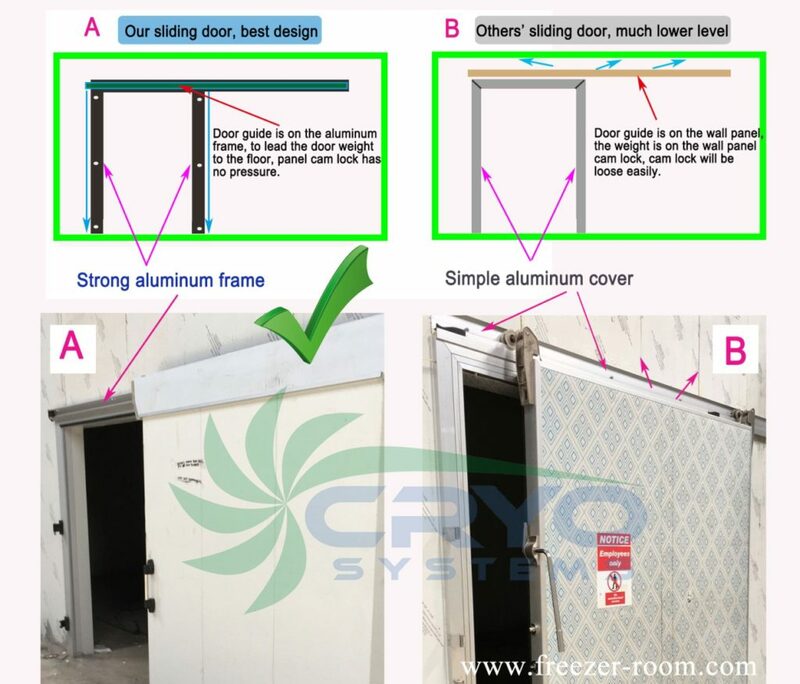 √ Best insulation can save your operation costs! 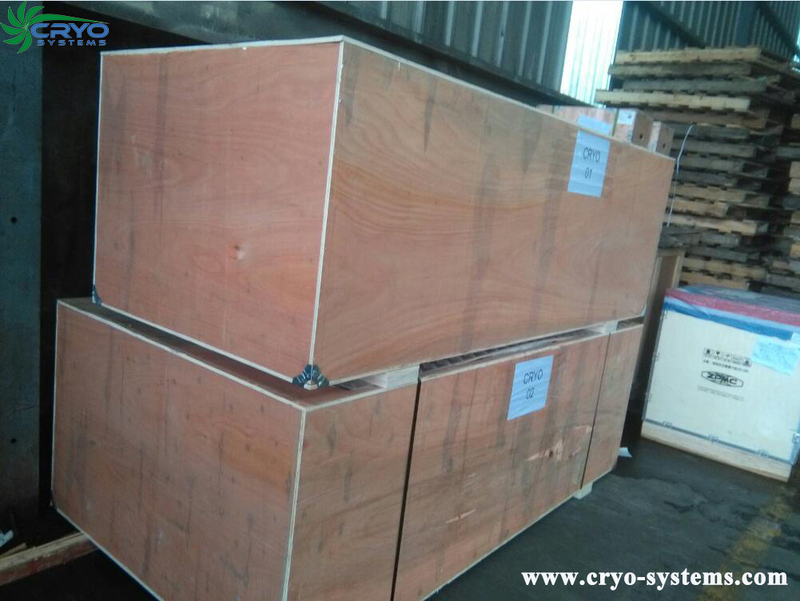 √ Effective refrigeration units achieve fast cooling effect! √ Design the best solution for your requirements! 2. 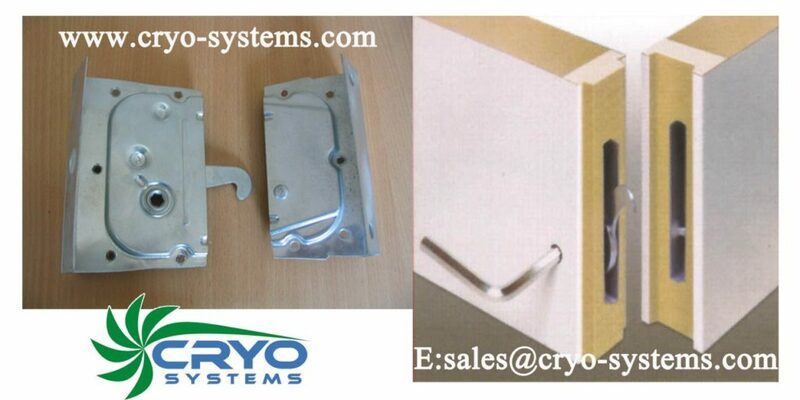 Storage products: food, medicine, medicinal material, chemical raw material, etc. 4. The panels’ surface we suggest. 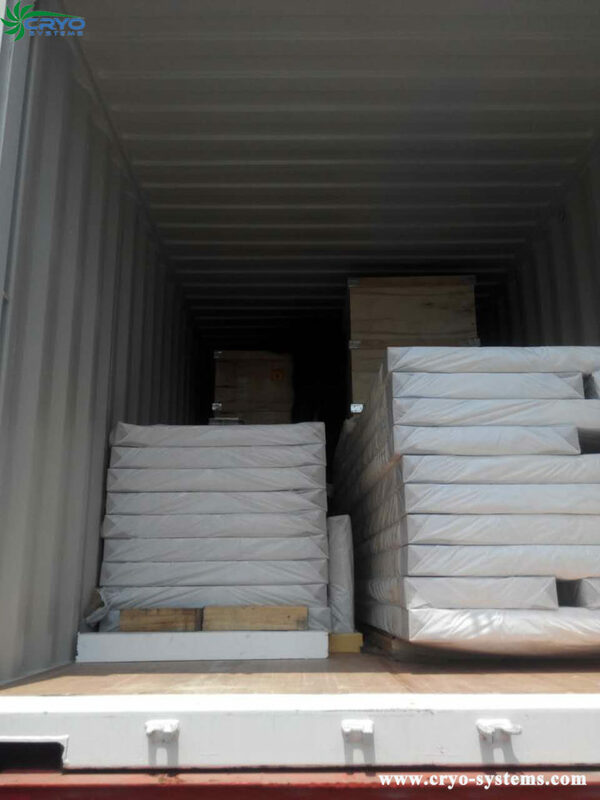 c. Other steels: Salinization/ Galvanized sheet/ Aluminum. PS: Color plate is more popular& cost-effective. 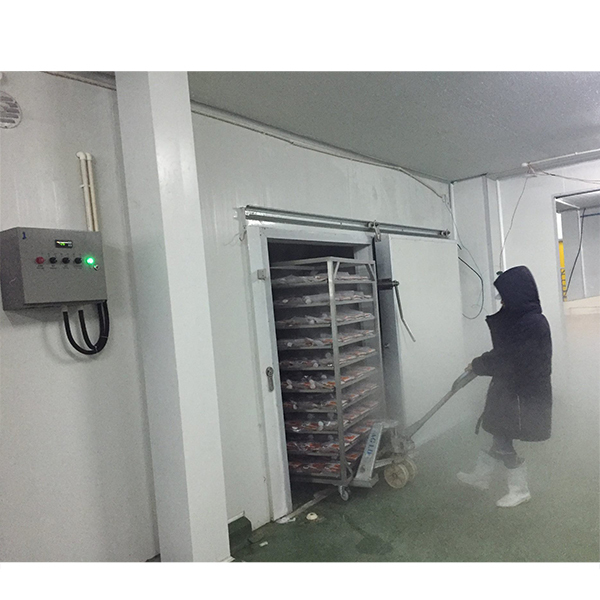 Jack operates a restaurant in Austrulia and needs a freezer room to keep the meat frozen. 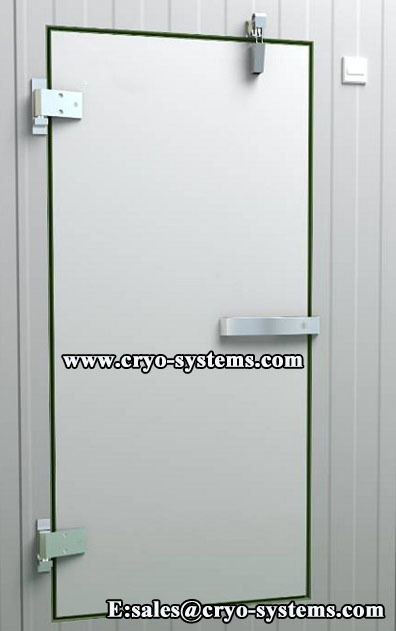 He contacts CRYO that provides cold room one-stop solution with cost-friendly for more than 20 years. According to his requirements, we design the best solution to satisfy him. A set of Kide split unit with 7.5HP Maneurop hermetic comprssor. A set of Kide split unit with 3HP Maneurop hermetic comprssor.